You must be a member of the Copenhagen Middle Eastern Culture Group to attend this activity. Would you like to join this group? Perhaps some of you have already been to this restaurant, one of the best Middle Eastern restaurants in Copenhagen. 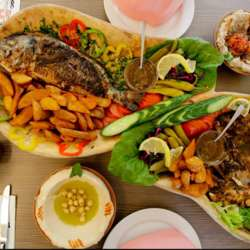 A place where we can enjoy decent authentic food to some Arabic music played with the oud.